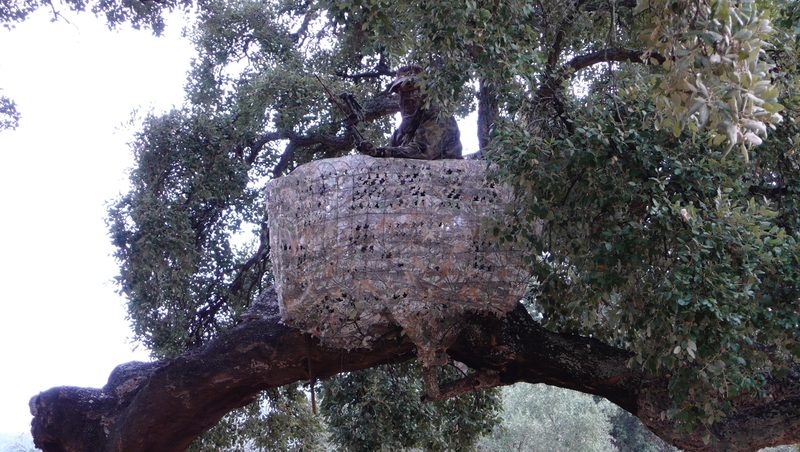 Bow hunting - Big Game Hunting Estate in Spain. "Los Claros"
Thanks to the experience of our team, in “Los Claros” bow hunters can hunt deer, mouflon and wild boar with a high success rate and achieve good trophies. Deer, wild boar and mouflon can be hunted by stalking or waitings from September the 1st until the end of the hunting season (mid February) except 9th to 13th of October and Christmas holidays (December 23rd - January 7th). You can also get summer hunting permits for wild boar. Partridge decoy hunting can be hunted in zones with an average height of 600 m above sea level within the established hunting period (between February 1st and May 14th approximately). In any case, it is required to book dates with several months notice. 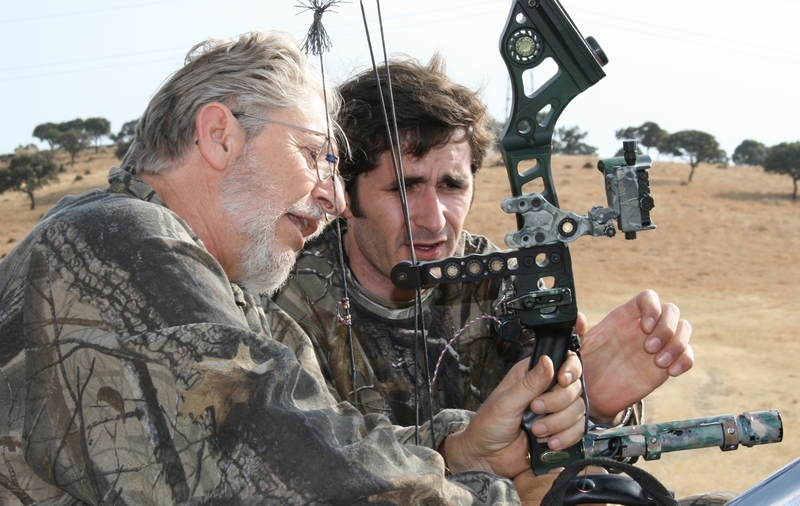 Since 2005, in association with Antonio Prieto (ARCAIDA) and Jorge Sánchez (BowLand), we have been organizing hunts for bow hunters which have had very pleasing results. Up to 8 hunters have managed to hunt a stag within a weekend, and in some cases 2 stags/hunter. This hunting method is tremendously exciting and successful during rut season. During summer, in exceptional situations where animals pose a threat for crops, deer and wild boar can also be hunted with a special permit. Finally, we recommend this method for partridge decoy hunting, since it is highly entertaining and successful. Since bow hunting doesn’t make the pray suffer and the animal dies without undergoing any stress, its meat is ideal for consumption. We will show you how to prepare the meat for your own consumption, and once prepared, vacuum packaged and frozen, it will be at your disposal for being cooked and served.